Maybe the best essay collection published this year, Meghan O'Gieblyn has been touted as the Didion of the Midwest, and yes, that is accurate. Here are essays about life in Flyover Country, about the 'Pure' in Pure Michigan, the history of Christian Rock, losing faith when faith is all you've ever had, and finding echoes of Christian eschatology in the logic of transhumanism, depressed and alone and drinking too much in dank Chicago dive bars at three in the morning. "Meghan O'Gieblyn's deep and searching essays are written with a precise sort of skepticism and a slight ache in the heart. A first-rate and riveting collection." A fresh, acute, and even profound collection that centers around two core (and related) issues of American identity: faith, in general and the specific forms Christianity takes in particular; and the challenges of living in the Midwest when culture is felt to be elsewhere. What does it mean to be a believing Christian and a Midwesterner in an increasingly secular America where the cultural capital is retreating to both coasts? 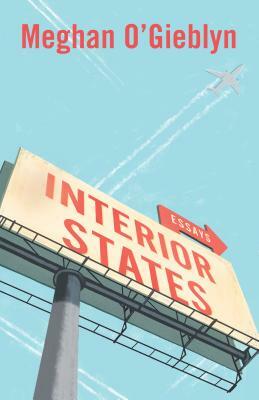 The critic and essayist Meghan O'Gieblyn was born into an evangelical family, attended the famed Moody Bible Institute in Chicago for a time before she had a crisis of belief, and still lives in the Midwest, aka "Flyover Country." She writes of her "existential dizziness, a sense that the rest of the world is moving while you remain still," and that rich sense of ambivalence and internal division inform the fifteen superbly thoughtful and ironic essays in this collection. The subjects of these essays range from the rebranding (as it were) of Hell in contemporary Christian culture ("Hell"), a theme park devoted to the concept of intelligent design ("Species of Origin"), the paradoxes of Christian Rock ("Sniffing Glue"), Henry Ford's reconstructed pioneer town of Greenfield Village and its mixed messages ("Midwest World"), and the strange convergences of Christian eschatology and the digital so-called Singularity ("Ghosts in the Cloud"). Meghan O'Gieblyn stands in relation to her native Midwest as Joan Didion stands in relation to California - which is to say a whole-hearted lover, albeit one riven with ambivalence at the same time. MEGHAN O'GIEBLYN is a writer who was raised and still lives in the Midwest. Her essays have appeared in Harper's Magazine, n+1,The Point, The New York Times, The Guardian, The New Yorker, Best American Essays 2017, and the Pushcart Prize anthology. She received a B.A. in English from Loyola University, Chicago and an MFA in Fiction from the University of Wisconsin-Madison. She lives in Madison, Wisconsin with her husband. "One of the most consistently absorbing collection of essays I've read in a long time. Meghan O'Gieblyn is at times rueful, at times hard-hitting, but hers is a distinctly independent-minded and nuanced voice." "For insight into America's eschatological mind-set, and into fundamentalist culture generally, there may be no more eloquent guide than Meghan O'Gieblyn, who was raised in the faith and then -- painfully, reluctantly -- abandoned it... What she captures most vividly here is Christianity's indomitable reach... Thrillingly alive, her essays are testaments to exquisite attentiveness, each painstakingly stitched and emitting a pleasing, old-fashioned whiff of starch." "Comparing O’Gieblyn’s writing on the Midwest to Didion’s essays on California might seem too easy, but the comparison is apt. Both authors seem to be looking for a way out of their homeland, even as they admit they’ll probably never leave." "O'Gieblyn has done an excellent job of pinning down [the Midwest's] character... [She has] a gift for seeing beyond the ideological veil to the other side of things... In a time when few voices are willing to engage with positions they disagree with, O’Gieblyn writes with refreshing sensitivity about subjects and institutions with which she often has foundational disagreements... A searching, powerful book, full of insight and generous critical inquiry. "An essayist of uncommon vision... [O'Gieblyn] displays a knack for noting the traces of the religious in the supposedly secular, as well as the inverse... An inquiry into the very heart of contemporary American life." "[O'Gieblyn] displays a hyper-awareness of her region’s place in history... Interior States can be taken as a record of the neuroses of a cradle evangelical... Can anything replace religious belief? This is the question that haunts O’Gieblyn’s book, even at its end." "O’Gieblyn’s writing about the Midwest avoids the usual folksiness or cutesiness inherent in many such essays. There are no cute anecdotes about raising chickens or rooting for the Packers here. Instead, she plumbs the complexities of the Midwestern identity, what keeps us here and what compels us to leave."